Guys, these are really good. Like… really good. Eating raw cookie dough is my favourite past time. So when I found cupcakes that had it INSIDE the cupcakes and ON TOP I HAD to make them! They’re so tasty! Plus with the chocolate chips and the little cookie on top is adorable. However, the recipe said you can make the cookies on top with left over cookie dough… I just bought Chips Ahoy cookies and used them. Up to you! In large bowl combine all dry ingredients: flour, sugar, cocoa powder, baking soda and salt. Whisk until well combined. 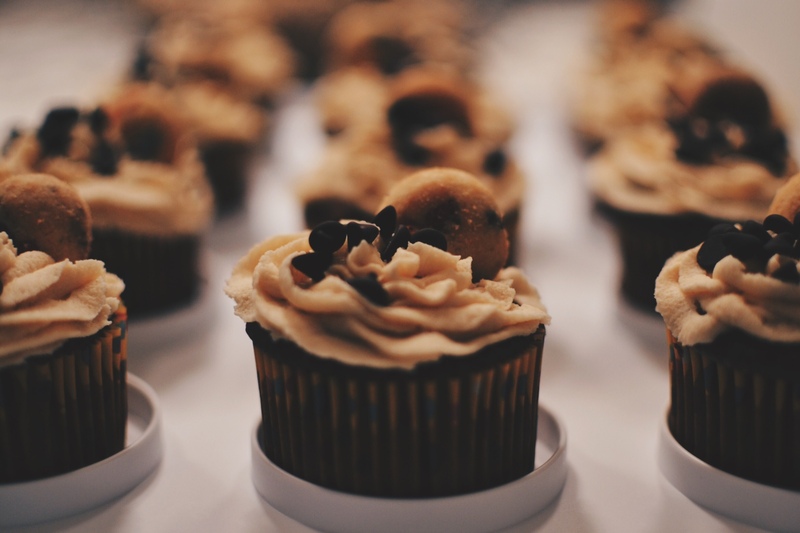 Once cupcakes are completely cool, hollow out the center of your cupcakes using a Cupcake Corer or Apple Corer. 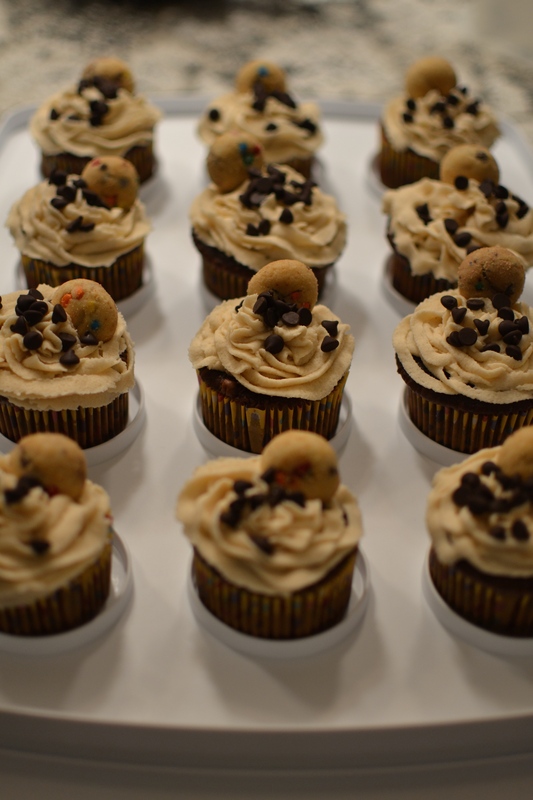 Fill centers will Cookie Dough and frost with Cookie Dough Icing. Garnish with chocolate chips and a mini Cookie Dough cookie. In bowl of stand mixer beat butter, sugar and vanilla until creamy. Gradually add in flour and sweetened condensed milk and mix until well combined. If dough seems too sticky, put in refrigerator to set up for about 30 minutes before filling cupcakes. 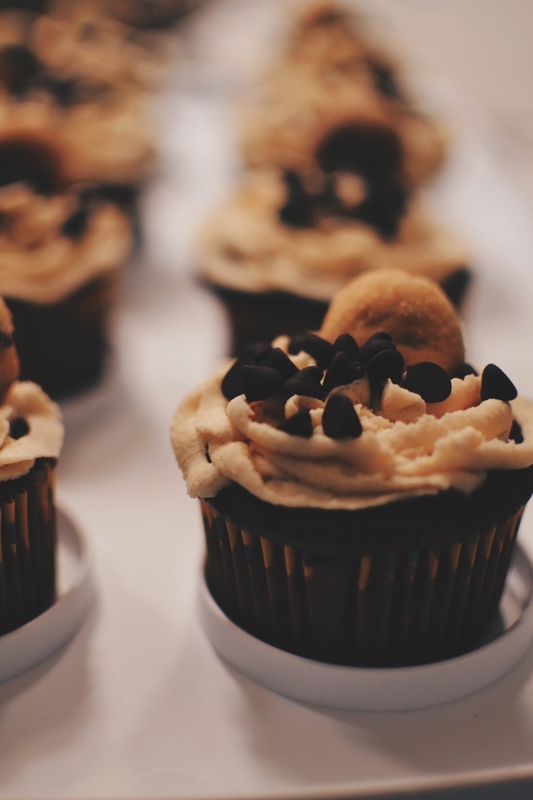 Fill center of cupcakes with Cookie Dough. I used a melon baller to get a consistent size ball for each cupcake. Roll out the left over cookie dough using a rolling pin and cut out mini cookies using a small circle cutter. Chill the dough cookies until they are firm and then use to decorate the tops of the cupcakes. In bowl of stand mixer cream butter, brown sugar and granulated sugar together for 1-2 minutes until creamy. Gradually add in flour and confectioner’s sugar mixing well and scraping down sides of bowl. Continue to mix icing for 3-4 minutes. Place icing in piping bag fitted with large round tip and swirl on top of cupcakes. Sprinkle mini chocolate chips on top if desired. 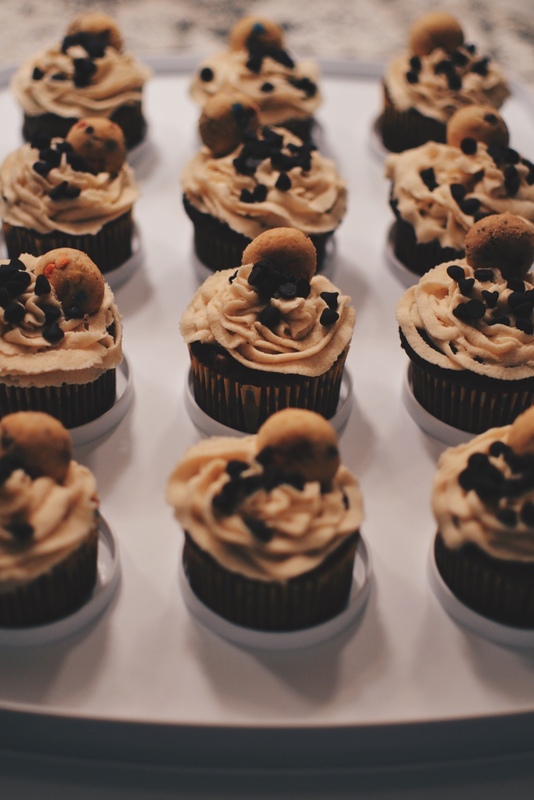 I hope you all enjoy these Chocolate Chip Cookie Dough Cupcakes! I highly recommend adding a scoop of Chocolate Chip Cookie Dough Ice Cream on top of these cupcakes! You know, just in case there isn’t enough cookie dough already! Previous Post Pink Macaron Ombre Cake!